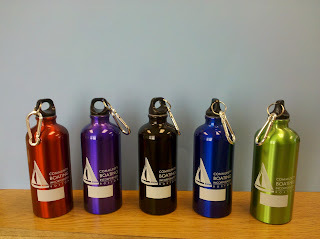 Community Boating Inc. Executive Director's Blog: Be Good To Our Environent -Spare the plastic bottles! Be Good To Our Environent -Spare the plastic bottles! Today's guest blog is from our very own Director of Youth Programs, Amy Lyons. Thank you Amy. I don’t know about you, but sailing and being surrounded by water always makes me thirsty. If you share this sentiment, please read on before you dip your hands into the Charles for a sip… I’ve got a better solution. CBI wants to put an end to two pervasive problems among our membership – drinking Charles River water, and buying single-use plastic bottles. For your health, and the health of our environment, we’ll be selling reusable aluminum water bottles for the low price of $6 each, as well as installing a new water fountain with a better filtration system. Cool, refreshing, filtered water… aaaaaahhhh. Be the envy of all your friends with a small piece of aluminum that says “I care”. Best features of these bottles: there’s a spot to write your name, so no one can steal your awesome bottle (believe me, they’ll want to! ), and they have a carabiner – attach it to yourself or your boat to keep that cool water coming! Buying one of these bottles is a no-brainer, however choosing the right color can be difficult. Here are a few notes on what these different colors mean – choose wisely. These bottles also make great gifts, but you’ll want to make sure that you choose the appropriate color for your friends and loved ones. Black is a very powerful color that portrays one of class, elegance and wealth. Purple portrays rich powerful kings, leaders, wizards and magicians. Green is the color of nature and health. It represents growth, nature, and money. Blue has a calming effect; it is a color of loyalty, strength, wisdom and trust. Red is a very strong color that evokes a powerful emotion of passion; it is a symbol of pride and strength. 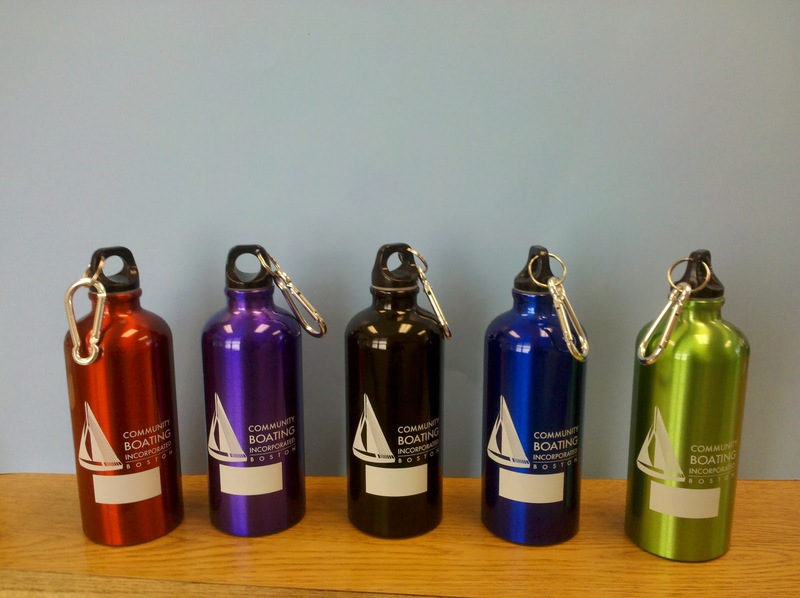 You can order your water bottle TODAY by calling or emailing the Front Office (frontoffice@community-boating.org). Great information, Amy! You should sell lots of water bottles. I just have a look here and emerge Brobdingnagian to look out out this diary. created content conceiving hand and intensely cooperative location. I crave most of we've a bent to tend to alignment agency unit to look out these styles of things, here we've a bent to ar ready to notice everything. i am with the content esteem associated do esteem him as associate honest provider payday loans costa mesa. Thanks for your toil and you too. Very rapidly this web page will be famous amid all blogging viewers. I was very pleased to uncover this great site. I wanted to thank you for your time due to this wonderful read. If you are looking for online entertainment then you can try 300 juegos friv para jugar gratis for free! Thanks! This is an amazing read, i like it.